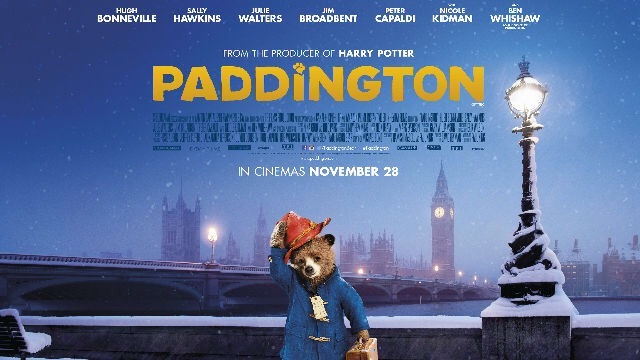 Two brand new character posters for Paddington have been released today. 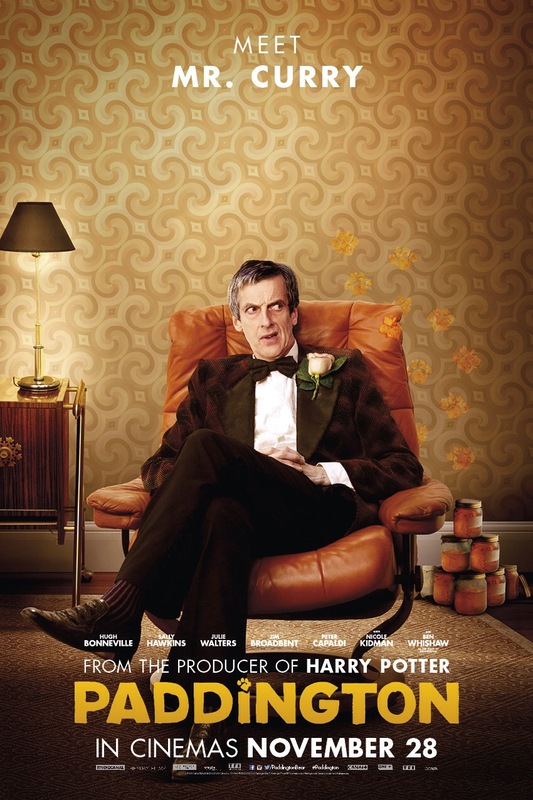 I absolutely love this one of Peter Capaldi as Paddington’s grumpy neighbour Mr Curry – he couldn’t look less Doctorish if he tried! There’s also a poster for Nicole Kidman’s character Millicent who is expected to be the film’s villain, Milicent. 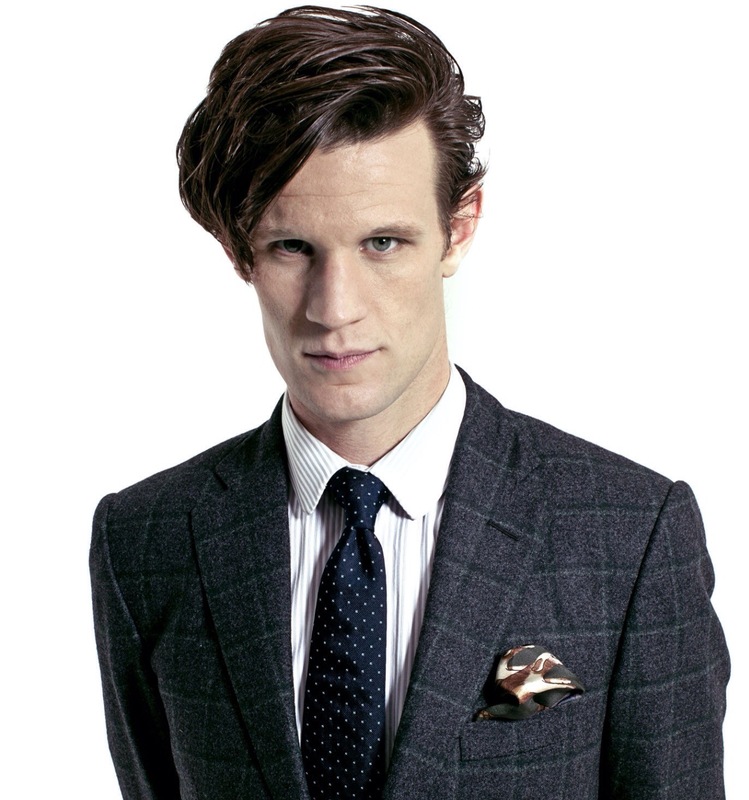 Former Doctor Who star Matt Smith is to star in new zombie action thriller Patient Zero. He’ll co-star alongside Game of Thrones actress Natalie Dormer in the film which takes place in a post-outbreak zombie apocalypse and follows one man who has the unique ability to speak with the undead and who hopes to use his gift to discover a cure for the plague and his infected wife. Hands up, who else is excited to see Paddington? The reviews have started trickling out and mostly they appear to be very positive. I really can’t wait to see it now – it feels like I’ve been talking about for ages. 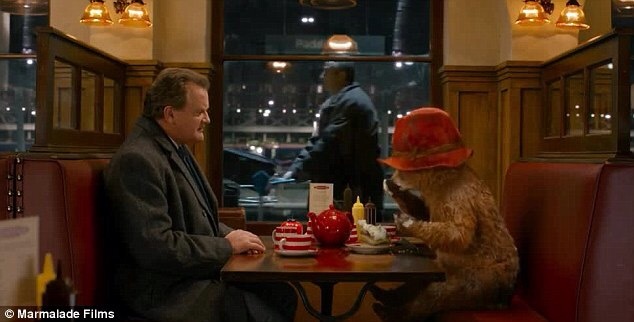 To whet all our appetites here’s a brand new clip of Paddington meeting the Brown family for the first time. Watch out for the lovely Lost And Found moment. 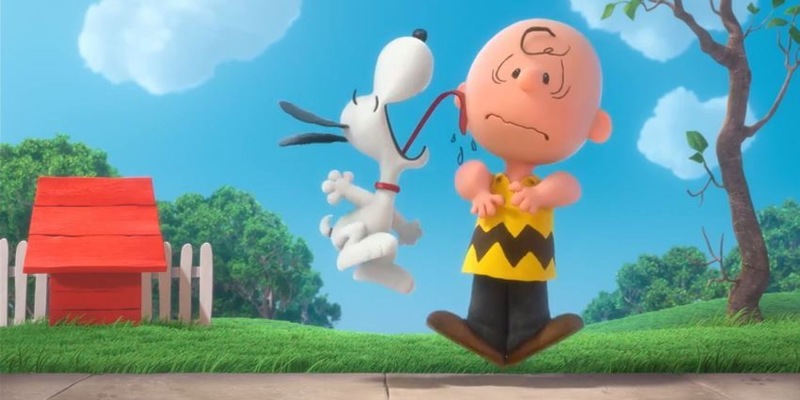 Have you seen the trailer for the new Peanuts Movie? I love Charlie Brown, Snoopy and the gang and I’m really looking forward to seeing them on the big screen next year. I was a bit worried about the use of 3D and CGI but I think the computer animation looks great so far – I just hope it remains at such a high level for the final film. Now we just have to wait another 12 months to see it. 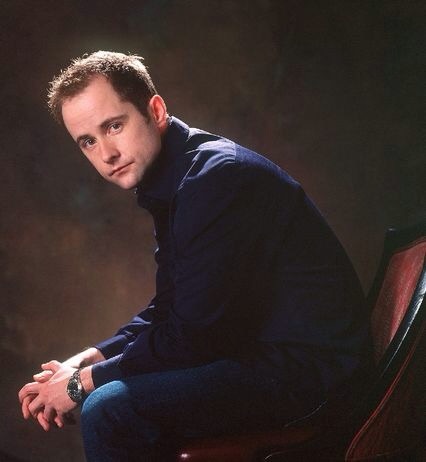 Billy Boyd’s been discussing his song for the final Hobbit film. The actor, best known for playing Pippin in Lord of the Rings, has recorded The Last Goodbye for the closing credits of The Battle of the Five Armies. “We focused on not just the final instalment, but moreso on this 10-year epic adventure,” says Boyd. “A song to sum up the six movies. We recorded in Wellington, New Zealand, at one point traveling to Auckland to Neil Finn’s studio — where we recorded some of the guitar”. I’m not ashamed to say it brought a tear to my eye. 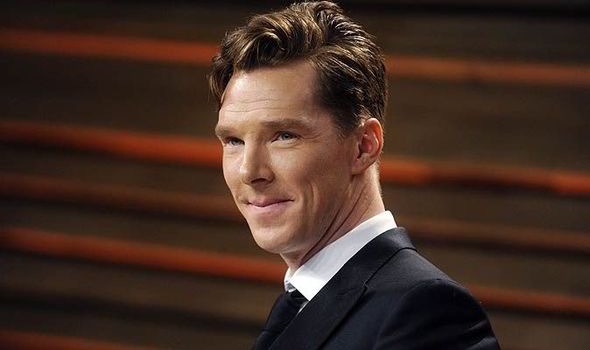 Benedict Cumberbatch will receive the Variety Award at this year’s British Independent Film Awards. Cumberbatch is already nominated in the Best Actor category at the annual awards which honour the best independent films of the year. The Variety Award is presented to a director, actor, writer or producer who has helped to focus the international spotlight on the UK. Previous winners include Jude Law, Kenneth Branagh, Sir Michael Caine, Daniel Craig, Dame Helen Mirren and Richard Curtis. Speaking about the honour, Cumberbatch said: : “I am delighted to receive this prestigious award and would like to thank Variety and The Moët British Independent Film Awards for this incredible honour. 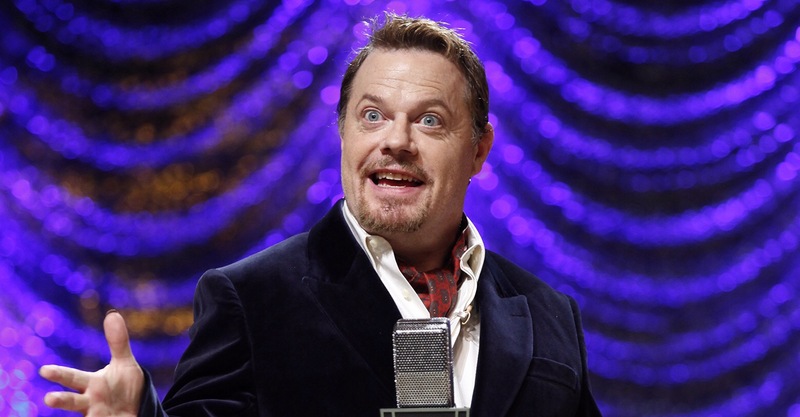 The awards are presented at Old Billingsgate on December 7. Already this year I’ve been lucky enough to see what I think should be four of the five Best Actor nominees at the Oscars. Benedict Cumberbatch, Steve Carell, Michael Keaton and Eddie Redmayne all give superb performances and should therefore be recognised. Of those four I’m finding it hard to pick a winner – I know the smart money is currently on Keaton and it would be a typical Oscars-comeback story. Cumberbatch and Redmayne are both excellent as British mathematical geniuses and both brought me to tears. I didn’t like Foxcatcher – I found it too dark – but I did appreciate Carell’s work – I’ve never seen him so unlikeable and menacing on screen. It’s a complete about turn for his regular persona. 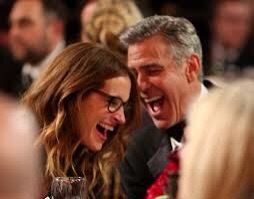 Who could be the fifth nominee? Well overnight in LA David Oyelowo has emerged as a serious contender following the debut of Selma at the AFI Fest. Wouldn’t it be fantastic to have Brits among the contenders? There are still some other actors who could crash the party – I think Timothy Spall is still in contention for Mr Turner, as I’m writing this I’m waiting on reaction to Bradley Cooper’s performance in American Sniper and what about Johnny Depp in Into The Woods which no-one has seen yet? It’s all speculation of course but it’s shaping up to be an incredibly strong category this year. I just wish we could say the same for Beat Actress.